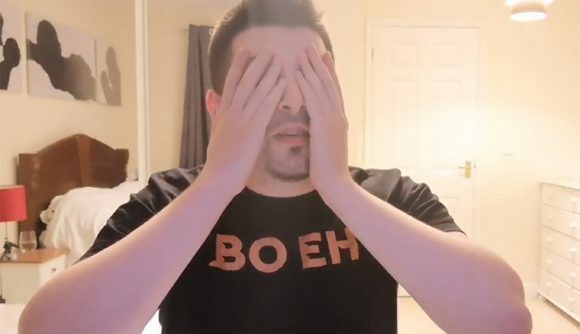 Gross Gore, a popular streamer whose real name is Ali Larson, has been banned from all future Jagex events following accusations of harassment at this year’s RuneFest. Held at the Farnborough International Exhibition and Convention Centre near London this past weekend, RuneFest is an annual celebration of Runescape. It’s meant to bring together developers, fans, and community members in appreciation of the game they love. As part of that community, Larson’s presence at the event is expected. But a video posted to Twitter, together with multiple statements from attendees, paints Larson in an unfavorable light. According to a report from Esports News UK, Larson engaged in lewd behaviour toward women on more than one occasion during the course of RuneFest. Polygon reports that multiple women have come forward to accuse Larson of sexual harassment, and a Twitter video posted by a witness seems to corroborate the claims. If these accusations are true, it wouldn’t be the first time Larson has found himself embroiled in such controversy. Polygon’s report also details a video he made following a break-up where he can be seen referring to women using derogatory terms. Skidder, another popular streamer, has provided his account of an encounter Larson reportedly had with a woman named Rachel. Posted to Twitter, the story claims that Larson repeatedly harassed Rachel via objectifying comments. Since these reports have begun to emerge, Larson has claimed that the issues in question have been resolved. On Twitter, he said that “I’ve just been contacted by the girl who has been allegedly ‘harassed’.